From the dawn of Neopian time, nothing has more about a pet's status than the color of its latest paint job. Whether it be plain, such as red or blue, impressive, such as white or orange, or absolutely outrageous, meaning the ever exclusive royal or maybe an extremely highly respected Pirate coat, most every impression can be made by a new coat of paint. How can you paint something living and breathing with a simple brush of paint, you ask? Well some secrets will never be revealed, but feel free to wonder. Believe it or not, this piece isn't about questioning the paint brush, nor is it about any of the colors I mentioned. This article is about one thing no Neopet can live without, fashion. I know what you are thinking, time to move to the next page, but I urge you to read this for your Neopet's sake. You wouldn't want the little doll to be sporting last year's fashion as the school year approaches, now would you? We all know Neopia's past trends, whether it be baby, Darigan, plushie, or the most recent trend, grey; nothing will keep your little darling in the social circle like a fresh coat of camouflage. Unlike all those fashion flops, this year's beau is sure to be around for decades to come. For those of you who are skeptical, I have compiled a list of reasons to go the extra mile to meet current standards. Your Neopet WILL thank you, and you will surely thank yourself. 1) The First reason is an obvious one; nothing matches up to sporting what's "in." The little devil is sure to have a huge burst of confidence when he receives all those compliments. Nothing can make you happier than making your Neopet happy, Right? 2) In case you didn't notice, grey, pink, and blue are all four-letter words. I don't know about you, but I want my pet learning more than four letters at a time. The little guy, or girl, will be sure to know how to spell what color he is sporting, for Neomail and email purposes of course, nobody wants to look like a Typo Timmy. So, I vote that we give our pet's a little knowledge with their new fashion. Camouflage isn't exactly an easy word to spell, you know. 3) What is better when you are playing hide and go seek, or even concealing yourself from an enemy, than blending perfectly with your surroundings? While this is useful on the playground, don't let yourself forget the Battledome. It is an extremely valuable weapon to be hidden on a wall or floor. Not to be too optimistic, but it could lead to trophies. I hear Kacheek Seek is looking for a new host. Who better than a camouflage pet? 4) I'm not going to lie; my last reason is a big one. If you don't bring camouflage in with a bang, it is rumored that Neopets will close its doors forever. 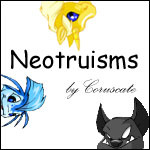 If camouflage isn't well received, it is quite possible to lead to a strike by Neopets employees, and an eventual end to the company all together. Remember this when you are choosing a paint brush. Remember it a lot! *Reason four is based on no actual fact or information. It was made up to push everyone into supporting this year's fashion craze. If, for any reason, you have had any serious trauma after reading this reason, please feel free to shout to relieve your tension. If this doesn't help, seek immediate medical attention. As you can see, this is one serious fashion DO. What? Still not convinced? Well, I'm pretty much out of reasons that you should buy the latest fashion craze. If you want to read more about the Camouflage Craze, feel free to, well, scroll up and read this article from the beginning again. It's the best I can do for you. Still here? Looking for more? I'm not exactly sure what to tell you. I have nothing left. Leave me alone. Okay! You dragged it out of me. I will give you the down sides of having a camouflage pet. Good things far outnumber them, though, and you must promise not to let these affect your decision. Remember, the only bad sides seen from fashion are those from last year. 1) Chances of losing your pet have got to at least double. Hopefully, you have been a good enough owner so that your pet would never dream of running away, but sometimes, that hasn't been the case, has it? Keeping an eye on your pet will definitely get tougher with this little color adjustment, but hey, at least you can still see your petpet, as long as it isn't painted, that is. 2) You can count on putting a pretty big load of Neopoints into this fashion investment. While prices will surely be high because of the age of the brush itself, the threat of a possible avatar could more than double the price of any paint brush, especially one as snazzy as the new camouflage masterpiece. 3) That investment I spoke of could be short lived. I know it isn't often thought of as a bad thing, but random events could end your fashion statement quicker than a tag team match between the Meerca Henchmen and Mika and Carassa. Keep your eye out for such fashion nuisances as Boochi and the phantom painter. Didn't I already say that "baby" is out? Take a hint, Boochi. *These reasons are not "disadvantages" to keeping up with fashion; they are simply risks and challenges that go hand in hand with doing so. There is absolutely no reason to not stay up to date. You aren't afraid of a little challenge, are you? I hope that I have made it crystal clear to you that fashion is more important than anything else to your pet. I am sure that the "Camouflage Craze" will last for many years to come. Honestly, what's not to love about it? Rugged and delicate at the same time, nothing will ever be able to replace that which is Camouflage. It's coming soon to a trade near you! Wondering what to expect next year? Well, if camouflage has lost its appeal by next year, which it will have (Pay no attention to that when deciding to go Camouflage on your pet, I'm sure it will last), the next big thing is sure to be flannel. What is more fashionable than a timeless classic? Look for "Flannel" coming in Year Eight. Step One: Who to Invite?